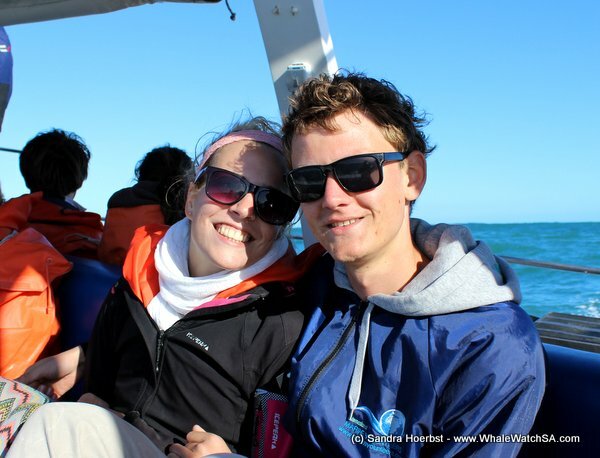 After two no sea days, we had a nice day out at sea. 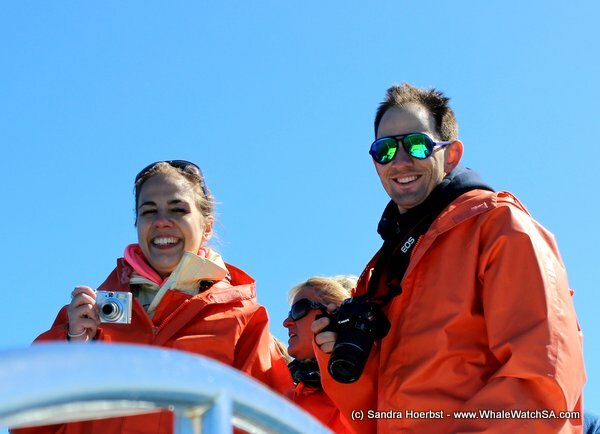 It was a cold day with still big swells, but the sun was shining throughout the whole time. 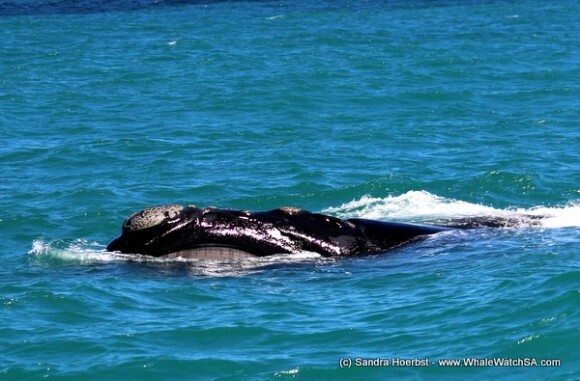 Today we saw a few mother and calf pairs cruising around in the Pearly Beach area. 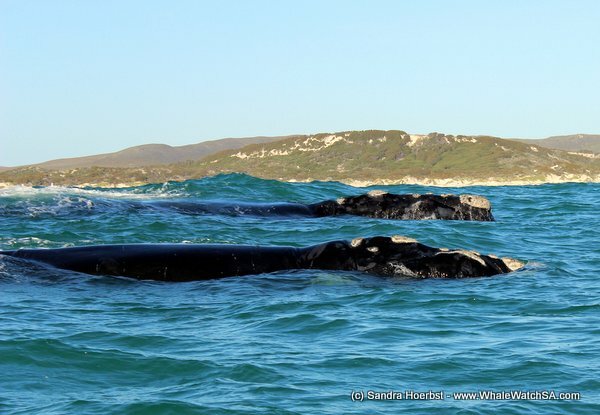 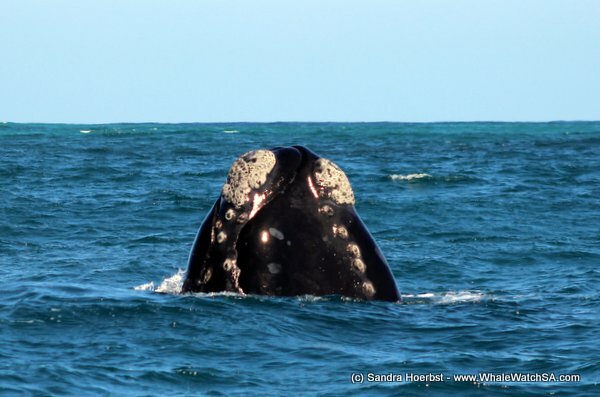 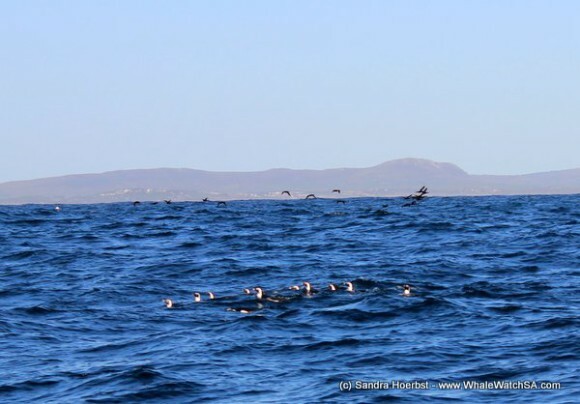 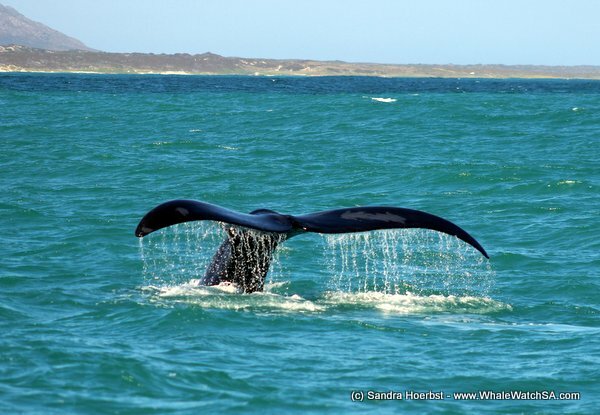 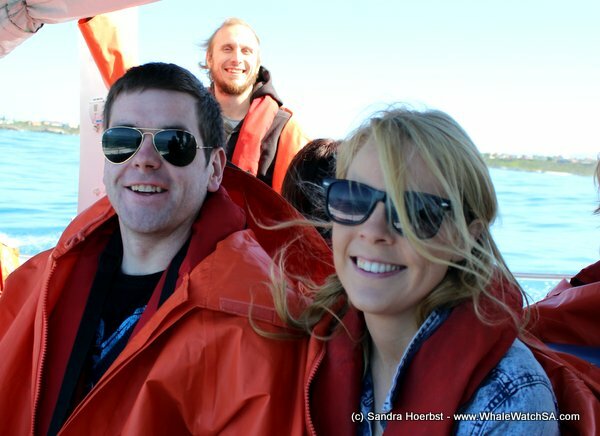 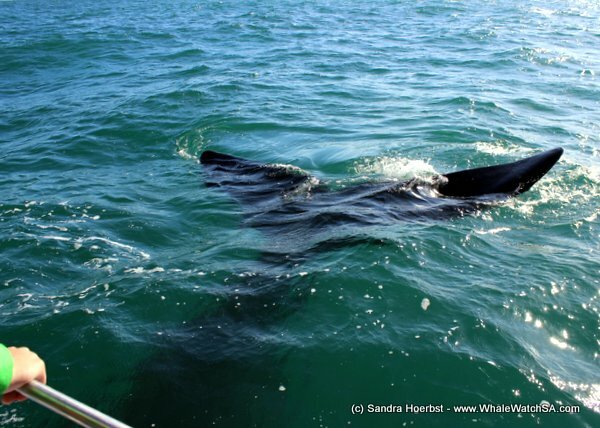 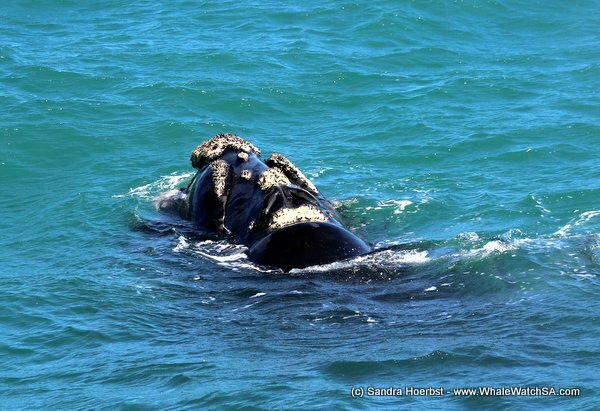 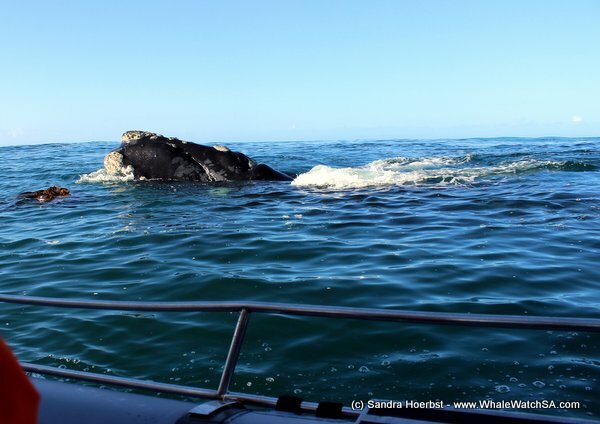 We were also lucky again to spot a brindle Southern Right whale during our last trip. On the way to our whale watching area, we passed our sister company Marine Dynamics to see the Great White shark. 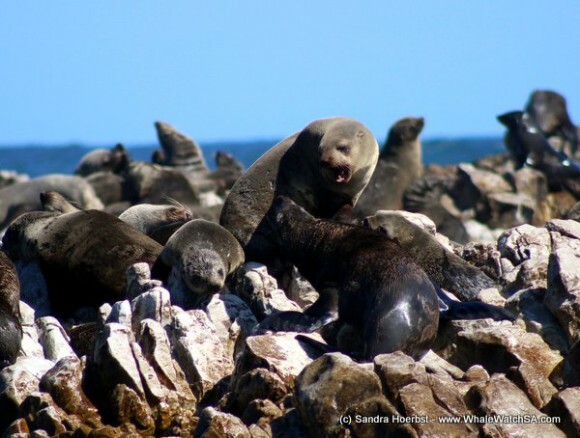 After watching all the fantastic whales in Pearly Beach we made our way to Dyer Island to see penguins and to see all the Cape Fur seals on Geyser Rock. On the last trip we found a big raft of African penguins close to the Island. 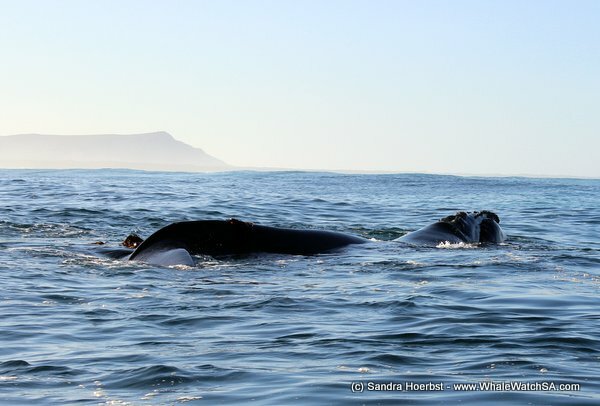 It looked like they were coming home from fishing. What a beautiful day.